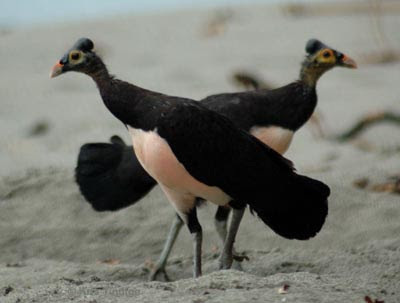 Webphemera has an article this weekend on the Maleo - a bird with an unusual reproductive behavior. Instead of creating a nest and incubating the eggs, the adult female buries the eggs in sand, where they are incubated by the heat of the sun. Equally remarkable, when the hatched chick makes its way to the surface, it is fledged and ready to fly!! This is a good example of how the evolutionary "distance" between birds and reptiles (crocodiles, turtles) is not as far as it might seem. Since I probably won't get another excuse to blog Sulawesi, I'll use this opportunity to note something interesting about the geography. The island is marked in red on the inset map. Scholars, students, and sailors have for centuries used it as a marker for the equator when the equator is not shown on a map, because the equator runs directly under that horizontal top extension of the island. Can anyone I.D. this grey caterpillar? The worldwide catastrophe of 535 A.D.
Cereal and milk - better than sports drinks?